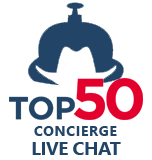 Greetings friends, ranchers, guests and explorers, welcome to Top50 Ranches! We’re dedicated to helping you easily find the perfect guest, working, resort, luxury or ultra ranch vacation; the most amazing adventure, your dream location. Whether you’re going with family, friends or solo, have just days or even weeks, we promise we can find the right ranch vacation for you. Top50 Ranches… when only the best ranch vacation will do. Enjoy our selection of the best ranch vacations in the World. View videos taken from our select ranches. Let us keep you updated on what's new in the World of ranch vacations.